Around 7:30 pm on May 27th, the intruders arrived. Westcott followed the officers’ advice, grabbed his gun to defend his home, and died pointing it at the intruders. They used a semi-automatic shotgun and handgun to shoot down the 29-year-old motorcycle mechanic. He was hit three times, once in the arm and twice in his side, and pronounced dead upon arrival at the hospital. What is a HEMP attack? No, it’s not a bunch of hippies smoking pot on your front lawn. HEMP stands for High-Altitude nuclear Electromagnetic Pulse and is an extreme form of EMP. Any strong enough EMP can damage sensitive electronics that we rely on so heavily today. The most common EMP comes from lightning strikes and normal power surges as equipment is turned on and off. Other natural causes, such as solar flares, can also create an EMP. In 1989 the entire electrical grid of Quebec was shut down in about 90 seconds due to a solar flare that hit on the opposite side of the earth. Modern electronics with microchips are most susceptible, followed by older transistorized circuits. That’s why we have surge suppressors for computers and other sensitive equipment. But most will not protect against a nuclear EMP attack. EMP damages electronics by overvoltage. The EMP induces an extreme voltage into the conductors of small integrated circuits, causing them to arc and break down. In other words, they get fried. What many people see as advances in technology also makes us more vulnerable to a HEMP attack. Smaller and more sophisticated electronics are more easily damaged by EMP. And as our society integrates more electronics into everything from the power grid to banking to coffee makers, more of the infrastructure is at risk. The threat of a HEMP from a nuke is more sinister and dangerous than lightning. When a nuclear weapon is detonated, it produces a very high EMP that spreads like a “wall of energy” and will wipe out anything with solid state electronics over hundreds of miles. Commercial surge suppressors and most military-grade units are not fast enough to stop it. Power lines act as huge antennae to carry the pulse even further, knocking out power grids and electronics that are plugged into the wall socket. This excerpt from the film TRINITY AND BEYOND, THE ATOMIC BOMB MOVIE shows a few high altitude tests conducted by the United States military shortly before the Limited Test Ban Treaty was signed. It is complete with foreboding, dramatic music and even includes a (simulated?) AM radio cutting out during a detonation. Shielding is the first and easiest line of defense. Sometimes called a Faraday cage, after its inventor, Michael Faraday, an electrically conductive enclosed shield will equalize the electrical charge on the outside, cancelling it on the inside of the shield and protecting the contents. A true Faraday cage is made of conductive metals, like copper or aluminum or a properly engineered steel enclosure. The inside of a microwave oven is an example of a Faraday cage. But an adequate electromagnetic shield can be made from galvanized steel or aluminum foil. Bare or painted steel doesn’t work, because rust and paint are insulators. Most safes and file cabinets will not work to shield against EMP. The entire container must be conductive with no breaks in the electrical path. Gaps will “leak” EMP to the inside, making most containers ineffective. Conductive screen or mesh with fine holes will work, though (like the screen on a microwave oven door). The easiest way to shield small electronics, like a radio or laptop computer, is to place them in a heavy duty zip lock freezer bag, then wrap the whole thing tightly in heavy duty aluminum foil. Be sure to seal any gaps in the foil by folding the seams tightly and be careful to avoid puncturing it to prevent EMP leakage. Thicker foil is more tear resistant, but makes no difference in blocking EMP. If you do this right, it will work with one layer of each. But for some added insurance add more layers. Add another freezer bag and another layer of foil. Each layer will help to greatly reduce any leakage of EMP if you don’t get it perfectly sealed. Just make sure you alternate layers. If the two layers of foil come in contact, the EMP induced voltage will simply pass from the outer layer to the inner, making the outer layer ineffective. You’ll also need a strong radio signal supplied by a radio station (don’t try to do it with other radio sources like your cell phone – it will not work properly with week signals – you want tens of kilowatts or more). Install the batteries, make sure the antenna is fully collapsed (in the storage position) and turn the radio on. Start with the FM band. Tune the radio to the strongest FM station you can find. If you live in a rural area, you may need to get closer to a station to do this test. Make sure the signal comes in loud and clear with the antenna down. Turn the volume up so you will be able to hear the radio through several layers of foil and plastic bags. Put the radio in the first freezer bag, fold the bag over tightly and seal it. You should still hear the FM station clearly. Next wrap a tight layer of heavy duty aluminum foil around the bagged radio. Make sure the foil sheet is large enough that you can fold the seams at least twice. If you do this right, you should hear the signal drop off to practically nothing. If you can still hear the radio clearly, you haven’t sealed the foil effectively. Try again until you get it right and make sure there are no gaps. If you are unable to shield it with one layer of foil, add more layers alternating the freezer bags with foil until you get no signal. After doing the test with an FM station, take everything apart and repeat with a strong AM station. You should get the same result (no signal). It may be harder to shield AM than FM, so don’t get discouraged if you have to add more layers. Make sure you test both AM and FM (the order doesn’t matter). EMP from a nuke is broadband throughout the RF spectrum, so tuning it to both bands is a better test of real conditions. After doing your test, unwrap everything and remove the batteries from the radio before sealing it back up. You don’t want find out in an emergency that the batteries leaked and now the radio won’t work. So what do you do if you need access to your radio on a regular basis? Obviously you don’t want it wrapped in foil if you use it every day. One option is to simply buy more than one radio. But there is also another option. The solution might be with old technology: vacuum tubes. If you are old enough to remember the RCA repairman, then you probably recognize vacuum tubes or electron tubes. The British call them valves. Vacuum tubes can withstand EMP thousands of times higher than modern solid-state electronics. A well-built tube radio can be a hardened communication system that will get you through almost any emergency including a HEMP. And if it ever breaks down, it can usually be fixed with just a little basic tube electronics knowledge. Ham radio operators are known to be the first ones to establish communication during a disaster. And many of them are returning to the use of vacuum tube radios. Tube transmitters are normally run off AC wall current today, but there are easy options to set them up for battery power. Even a set of D-cell and 9V batteries can provide makeshift power for a small radio (scroll down to the battery box project). If you decide to use a solid state power supply with a deep cycle marine battery, just remember to shield the power supply with freezer bags and foil like we showed you above. During normal use you can use the grid to power the radio. Today tubes are still manufactured in Eastern Europe and China. In fact, there has been a mini-boom of sorts in tube manufacturing for guitar amplifiers and high end audio amps. And fortunately there are large numbers of NOS (New Old Stock) tubes of many kinds still available through online stores and eBay. As long as the seal isn’t broken between the glass and the pins most tubes will last indefinitely. Disconnect the antenna when not in use. The antenna not only pulls in the radio signal, but it will also pull in an EMP. Lightning arrestors aren’t enough to prevent a nuke EMP from getting through. Disconnect the AC power source when not in use. EMP will travel through power lines just like an antenna. In fact it is best to remove the AC power cord as it will also act as an antenna. Radios powered by AC line voltage need a rectifier to convert AC to DC. Earlier rectifiers were vacuum tubes and are also resistant to EMP. But later models used fragile selenium rectifiers that are susceptible to EMP. So look for an older radio that has a tube rectifier. The best way to learn about vacuum tube transmitters and radios is through a local ham radio club. And you no longer have to learn Morse code to get an amateur radio operator license if you choose to go that far. If you want to learn more about EMP and protecting against it, the best resource I have found on the net is by electrical engineer Jerry Emanuelson on his site futurescience.com. Ebola coming to the US. Atlanta to be specific! Whether you lose your power from a storm, hurricane, tornado, EMP, or a total economic collapse, having a means to get that power restored quickly can be the difference between getting through the disaster comfortably or living in misery. Having a generator can be a big help, but is only as good as your fuel supply. Once that runs out, you're back to primitive living. Unless, of course, you can supply yourself with a relatively limitless supply of fuel that is efficient and renewable. The fuel I'm referring to is wood. Not in a conventional sense. You can't build a fire under your generator and expect to get electricity flowing. You can, though, convert that wood into a gas that the generator can use to run the engine. This process is called gasification through a process called pyrolysis. You probably performed an example of this as a 9th grade science experiment when you placed a piece of wood in a test tube and cooked it over a fire. You then lit a match and ignited the gas coming out of the tube. The gas is a combination of methane, hydrogen, and carbon monoxide. All of these gases burn and will work well in a generator's engine. It just has to be clean. People have been using this 'wood gas' for many years. As a matter of fact, thousands of private and commercial cars and trucks ran on wood gas in Europe during World War II, because fuel was needed to keep the military going. They did this using a gasifier, which is a contained unit that converts wood to a gas. There are many people experimenting with wood gasifiers. Just Google it. There are also a hand full of companies that have refined their gasifiers to a point where they can feasibly sell it. They can be built and sized for different applications such as for running a generator, or a car, truck, or even a tractor. Below is a set up I put together to provide enough power to run a small neighborhood. I can reconfigure it to run many other things. It's a larger gasifier, built to run large engines. I had this gasifier made for me by Victory Gasworks in Washington State. There are other companies making smaller units from $2,500 https://practicalpreppers.com/online-shop/power-solutions/gasifier-detail-view, or $4,500 https://practicalpreppers.com/online-shop/power-solutions/the-l-e-a-f-wood-gasifier-detail-view, or $6,000 and more http://www.gekgasifier.com/products/product-overview. Victory makes high end units made of all stainless steel and designed to last a lifetime, and they are more expensive http://victorygasworks.com/. I suggest that you add a wood gasifier to your homestead prepping list. It will make your life a whole lot easier when you need it. Russia is preparing to fight World War III against the United States, not with conventional weapons but with the American dollar, a financial analyst told TheBlaze. Kevin Freeman, a global financial analyst with expertise in financial warfare and terrorism, warned that Russia, along with allies like China, could cripple the U.S. financial system. It’s not a theory but a “very real reality” that should not be ignored, he said. The threat of economic warfare is nothing new. Freeman, who was hired by the Pentagon as a contractor to investigate the 2008 stock market crash, believes the economic crisis was the result of a purposeful attack on the U.S. financial market by a state actor or by financial terrorists. Last September, For The Record revealed how hostile nations such as China and Russia may have been the instigators of the 2008 crash and how a system with substantial growing debt is vulnerable to such attacks. “Russia is playing a very good game of Chess and there’s every reason to believe that Russia has thought this out in advance,” said Vitaly Chernetsky, a Ukraine expert at the University of Kansas.It’s up to the rest of the world to decide what will be needed to stop Putin’s momentum, he said. 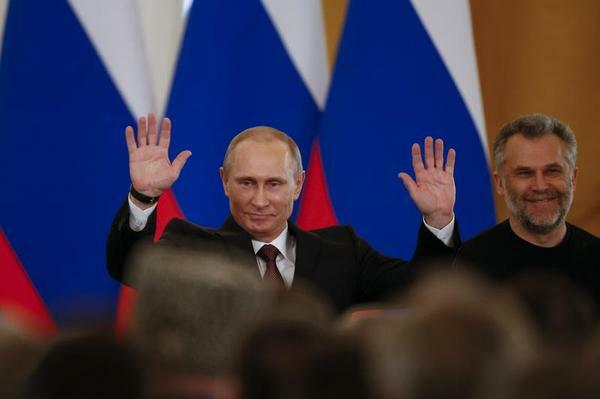 U.S. analysts told TheBlaze that the sanctions announced Monday against seven of Russia’s wealthiest oligarchs and politicians may not be enough to stop Putin. Some Russian leaders have even joked that these are insignificant measures from a weak U.S. administration. “To some extent [the U.S. is] living like parasites off the global economy and their monopoly of the dollar,” Putin said. Last week, the Wall Street Journal reported a significant drop in foreign central banks’ Treasury bond holdings at the Federal Reserve. Analysts said they believed the drop was a result of Russia shifting Treasury bond holdings out of the Fed and into offshore accounts so it would be able to buy or sell its portfolio if the U.S. and its European allies imposed economic sanctions over Ukraine. Despite a final report from the federal government’s Financial Crisis Inquiry Commission that blamed the crash on such economic factors as high-risk mortgage lending practices and poor federal regulation and supervision, Freeman noted that evidence suggesting that “outside forces” likely played a role, a factor the commission did not examine. Former Treasury Secretary Hank Paulson described the 2008 scenario Freeman investigated for the Pentagon in quotes published Monday in the BBC. We all know the stock market will crash. The record high stock prices today are all artificial: the fake corporate earnings, the Fed pumping $1 trillion a year into the economy (mostly into the stock market, at least indirectly), the fundamental weakness of the economy, and the fact that a significant portion of the money in the stock market is just from people blindly throwing their money into 401(k)s instead of people investing in companies that will actually make an honest profit. That is, the current high numbers in the stock market are not because the companies are worth it; it’s due to the above-mentioned phony bologna. There are some big differences between 1929 and now, and they relate to how much more devastating a crash would be now. In 1929, we had a fundamentally strong economy. It was largely unregulated. There was no Obamacare, no ridiculous taxes, no EPA, etc. In 1929 the Federal Reserve was not pumping any money into the stock market; now it’s a trillion dollars a year. 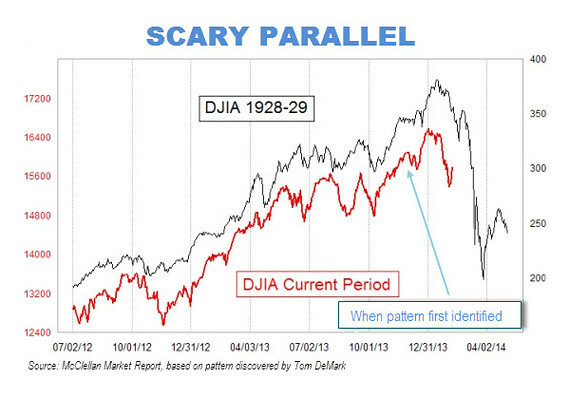 Another huge difference is that in 1929, very few people were actually in the stock market. Investors in 1929 were almost exclusively the rich. Now most of the country has a 401(k). The destruction of a crash would hit most Americans now, not just a handful of rich people. In 1929, America was far, far different socially. There was no welfare and people were about a 1,000 times more self-sufficient than now. Most people in 1929 lived on farms and could grow their own food and there was no entitlement mentality. Now there is violence when EBT cards don’t work for a few hours in a few areas. I am not a stock trader trying to predict when the market will crash. I focus on the consequences of a crash. What all this means, at least to me, is that the current stock market is much more fake, and the consequences for a crash are much more dire. In 1929, it would have been absurd to think there would be massive riots after a crash. Now, it is widely accepted. 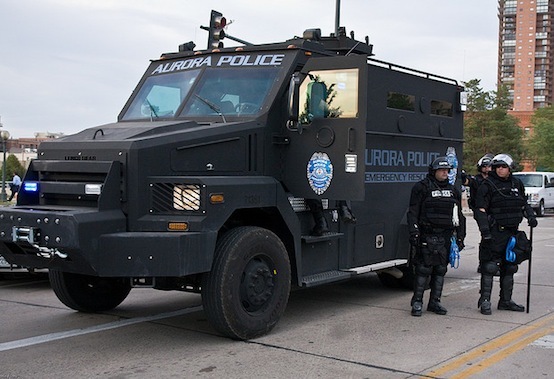 In fact, the federal government is actively planning for these riots. Think about that: the government is not only acknowledging rioting after a crash, but is planning on how to deal with it. I think the graph is important to think about. If nothing else, it should kick people into gear when it comes to getting ready for the crash that is coming. Here's a little VERY valuable hint: Get out of all of the markets, including your IRAs and 401Ks, get out of your CDs and other bank investments, then take all that cash and buy physical GOLD and SILVER and do it NOW! Take the penalties. Keep in mind that when the stock or bond market crashes, it WILL take the whole banking system with it. Still not convinced? If your investments are not currently getting a 16% or better return, you are already losing money in your savings or investments every day. According to the CPI formula of the 1980s, true inflation today is about 15.5%. The gov't has been changing the formula over and over again, pulling out things like food and fuel prices, or anything else volatile enough to increase the inflation number. The FED reports inflation as 2% so they won't have to increase social security benefits or pay higher yields on treasury notes. Don't believe it? Then why does the 20oz can of green beans at the grocery store now weigh 11oz and costs 150% more? Why are most items on the dollar menu no longer a dollar? WAKE UP AMERICA!